I was mega excited when I received an email from Moneysupermarket offering me a chance to take part in their Secret Santa Challenge! The idea is that they gave £25 to bloggers to then go and buy a Secret Santa present for a fellow blogger. They assigned us each a secret santa partner within the same blog niche, and then we were free to spend! 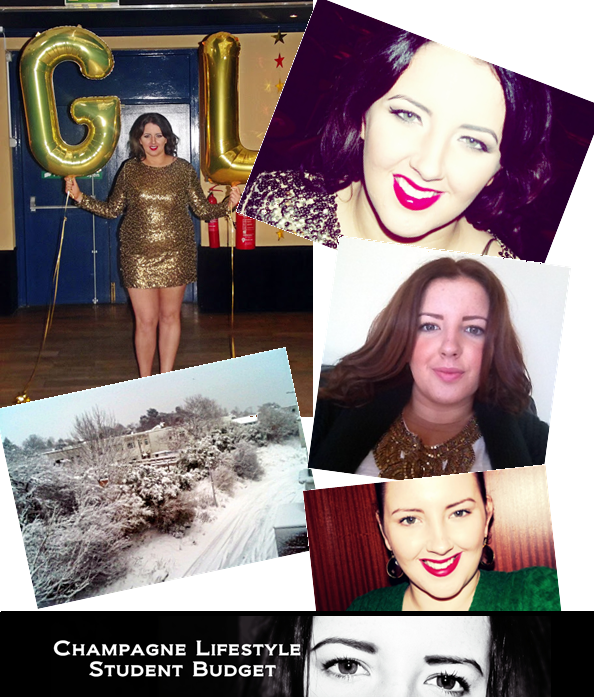 I was partnered with Gemma Louise from Champagne Lifestyle, Student Budget, a politics student from Belfast. Gemma Louise runs a fashion and beauty blog which aims to inspire people on any budget, and encourage culture throughout Northern Ireland. She’s just celebrated her 21st birthday too.. so Happy Birthday Gemma Louise! I guess this isn’t a typical Secret Santa, as usually you don’t find out who’s buying for you. 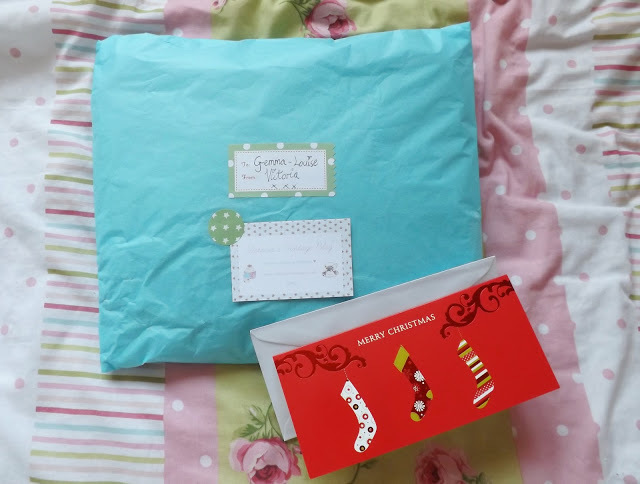 But none the less I am very excited to receive my parcel from Gemma Louise! I’ve already been out and bought all her pressies and wrapped them up at the weekend! I can’t show you what I bought her (that would spoilt it!) but I hope she loves them! I tried to keep the gifts small in size so they’re easily posted and keeps postage costs down! Is anyone else doing this challenge, or any secret Santa? I just bought my secret santa gift this lunchtime for our office party on Thursday. Love your wrapping paper, wonder what you'll get! I've just stumbled across your blog and I'm LOVING IT! I've got a 'baby' blog – I'm a beginner! Fancy checking it out? Maybe we could follow each other? I am doing 3 secret santas this year including this one! Hope my partner loves their gift!